Are you looking for a Dutchess County criminal defense lawyer and want to determine who is best suited for you? Here are some things for you to consider when you are contemplating your decision. While there are many lawyers who claim to be super lawyers, not every lawyer may be a perfect fit for you in your fact specific case. 1. Is the attorney’s practice limited to or significantly dedicated to criminal defense and DWI defense. There are a number of solo practitioners that handle more than 10 areas of law. In other words, they tend to be generalists and may not be able to dedicate the time necessary to your matter thereby hurting your defense. Furthermore, they may not have the knowledge necessary to defend your case. 2. Although no attorney can attest that their prior success is any indication of their future success in cases, its important that you know a sampling of the attorneys past performance. For example, is their first DWI case. 3. You should know whether the attorney has kept up to date with the changing landscape of the law. Have they participated in any relevant continuing legal education programs? DWI law can change significantly and rather frequently. 5. Has the attorney ever been discipline by a legal governing body. About us: our attorneys have significant experience practicing law. We are lead by a former prosecutor and our experience span over three decades. We have been recognized by our peers as some of the best lawyers in New York. 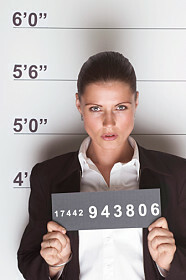 We have significant experience in DWI defense and have defended Felony DWI, misdemeanor DWI, and Aggravated DWI. Give us a call at 914-723-7900.